There is a moment in the lives of First World War's soldiers that no one will be able to tell precisely. Some writers tried to give an account full of pathos but at the end there is no real possibility to enter a soldier's mind in the minutes before the action, when the artillery attack is already bursting over his head. You may find a vivid description in Emilio Lussu's "A Year on the High Plateau" (Un anno sull'Altipiano), in the passage when his "movie camera" catches the rapid movements of the bottles of cognac going up and down from the thighs of the soldiers to their mouths. One of the most popular poems dedicated to the istants that precede the action is "Before Action" by William Noel Hodgson (born in Petersfield, Hampshire, in 1893). Hodgson was sent to the Frech front in July 1915. 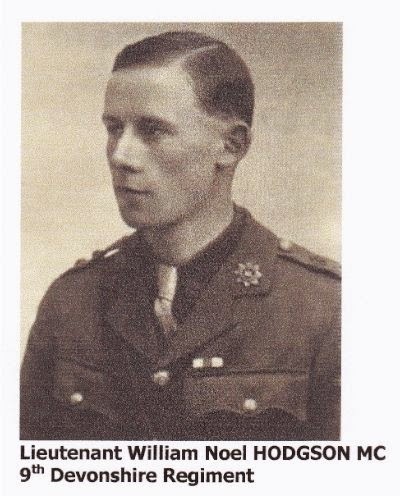 He died on the first day of the Somme offensive (1 July 1916) and this biographical data is probably connected with the reasons that make today "Before Action" one of the most renown poems about that strange limbo that stands beyond words, in-between the deadly life in the trenches and the likely death in the no-man's land. ----Make me a soldier, Lord. ----Make me a man, O Lord. ----Help me to die, O Lord.